LAVA International Limited, a leading Indian multi-national company in the mobile handset industry, today announced the expansion of its most successful Z series of smartphones with the launch of LAVA Z91. Z91 is a perfect amalgamation of design and new technologies - comes packed with innovative features including face recognition which unlocks the phone by scanning users’ face within 0.7 seconds. Z91 looks stunning with its striking blue color, 18:9 wide-screen display and an exceptional glass finish. Priced at Rs. 9,999, the device will be available at over 100,000 retail stores by mid-April, 2018. 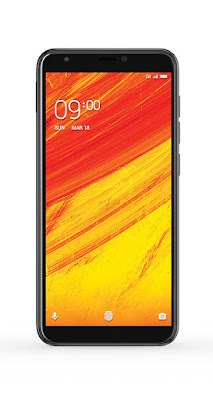 The device is powered by Mediatek Processor (MTK 6739) - comes with 3GB of RAM and 32GB of internal storage, and an expandable memory upto 128 GB. Thus, the smartphone provides consumers with ample storage for music, videos, pictures, applications and other data.